Have you ever tried Colombian tea? I've mentioned Bitaco before, and I thought they'd be the perfect company to feature so everyone could learn more about them. I'm very excited to present this interview. You'll learn everything from their unique soil and climate conditions, to how they are helping local communities through tea. My questions have been thoughtfully answered by Juan Guillermo González, their International Sales Director. Why did Colombia start growing tea? The history of tea in Colombia began in the 50s, when the Department of Agriculture were trying to diversified the elements in the Colombian Agriculture, they brought some tea trees from Brasil, that is when the varieties of Sinensis Sinensis and Sinensis Assamica came to Valle del Cauca and two more regions in Colombia (Cundinamarca and Santander). By today the only productive tea plantation is the one located in Bitaco. The department of agriculture starts testing the development of the tea plant in the lands of “Don Joaquin Llano” in the West Andes. Alberto Llano, the son of Joaquin where studying in England, where he learned a lot of the tea culture and consumption, that is why when he came back he dedicated most of his time to study the tea plants buying books that came in ships, visiting the plantations in Latin America while he was retaking the tests for the tea production. After some studies and tests the result of the productivity and quality of the leaves where really satisfactory so the family decide to grow more tea and build a factory to process the tea with some technology from India in an artisanal way. How long has tea been grown in Colombia? Our plantation has 55 years producing tea, those are for the first tea trees that came to Colombia, after that we start increasing the plantation and the youngest trees have around 14 years. Right now our plantation have 52 Hectares, we plan to have in 10 years 100 Hectares. We are going to use 48 Hectares that today are just use for paddock. 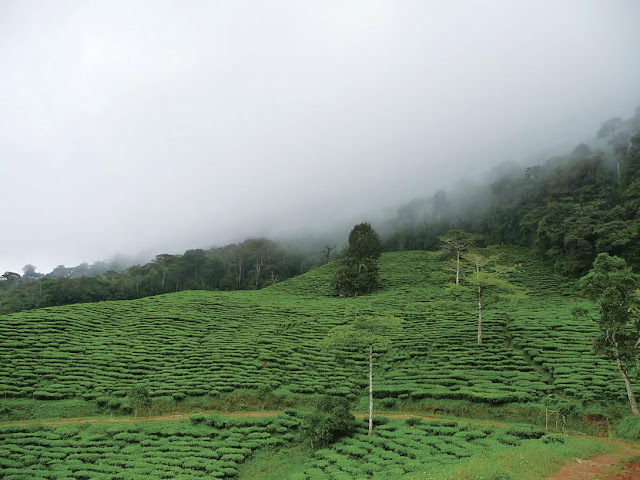 How does the climate and soil in Colombia make the teas taste different from other areas? Colombia is a tropical country, we have similar weather through all the year and so we can harvest and produce our tea the 12 months. Our plantation is Located in the Biogeographic Chocó which is a Region characterized by its high level of rainfall and biodiversity. Our tea is grown in soils rich in Nitrogen, Zinc, Coal and Copper which contribute respectively with the development of plenty of two leaves and a bud. Our nearness to Ecuador allows the entry almost perpendicular of sun rays to the surface, contributing to photosynthesis process and to increase the productivity in our crops. Our tea is soft, sweet, low in astringency, with similar notes and aroma to the sugar cane that notes you can feel it in all the process of production especially in the fermentation room. Tell us about how Bitaco is working to create programs to help children and communities? Bitaco Tea is working with the community through the AGRICOLA HIMALAYA FOUNDATION with programs focusing on education, especially of children. That also means improvement of infrastructure, recreation, culture and technology actions. Among the more outstanding activities with the children are the development of ecology, music and systems lectures; the endowment of education centers with libraries, computer rooms, kitchens, bathrooms, sports courts; and a scholarship fund for higher education. Working for the rural education improvement and supporting the professional studies for the region youth. 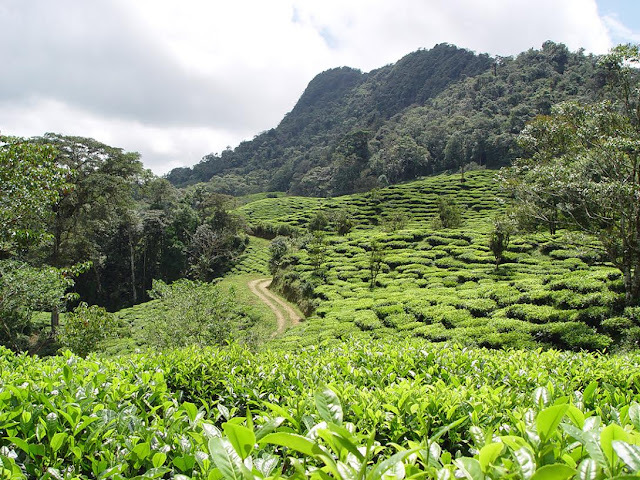 Also the total property has more than 200 Hectares, 52 are used for growing the tea and around 90 are a Forest Reserve, where we preserve the headwaters and springs. 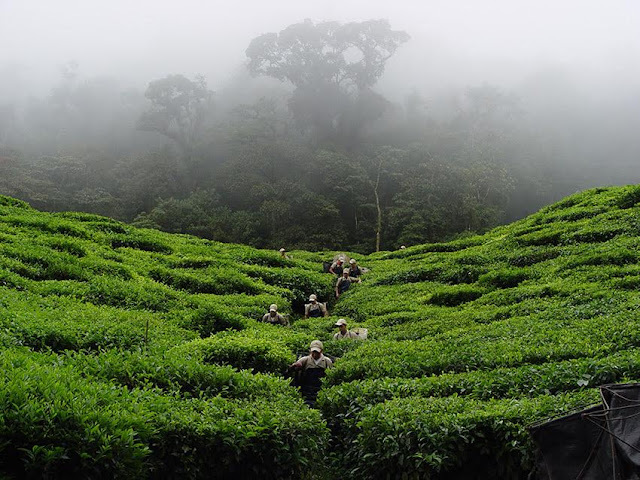 Do you process the green and black teas in Colombia? Yes, actually we are producing Black and Green Teas in our new facility. Also we are working on the development of new specialty teas, everything will be made using our leaf, we want to create and develop the concept of COLOMBIAN TEA. Our Black Tea Cacao Kisses is really unique because it has the natural sweet flavors of our Black Tea, blended with one of the best cacaos in our country coming from TUMACO, which is a region very well known for producing high quality cacao. How did you create your unique blends such as Cacao Kisses and Andean Princess? And Do you use Colombian ingredients in your tea blends? All the ingredients in our blends are 100% Colombian, the tea comes from our garden; the Dried Fruits come from local growers. For example the Isabella Grape is a particular grape from a region called “La Union” in our state Valle del Cauca. Also the “Lulo” is an Acid/Sweet fruit really typical in Colombia. Our Unique blends are created always thinking in the development of the concept “Colombian Tea”, using remarkable elements from the Colombian Agriculture. What are some of the sustainable practices used to grow the tea? WATER AND BIODIVERSITY CONSERVATION: Looking after the environment as a fundamental unit for human welfare and for sustaining the farming production. Preserving the Andean fog forest ecosystem belonging to 91 hectares of its own, surrounded by Bitaco Regional Forest Reserve where our garden is a biological corridor allowing the conservation of spring waters along with the ecosystems of 256 species of birds, 28 of amphibians, 23 of reptiles and 772 of flora, which have been detected heretofore by the local environmental authorities. Ensuring the quality of products within the Organic production context under the USDA, EU & COLOMBIAN regulations. Moreover, with the UTZ Certified ‘Good Inside’ label we seek to ensure our customers a tea with traceability, social and environmental responsibility. TO FOSTER COMUNITY DEVELOPMENT through AGRICOLA HIMALAYA FOUNDATION with the activities that I told you before. Thank you to everyone at Bitaco for taking the time to answer my questions! I truly appreciate it. I may have swooned at the mention of Black Tea Cacao Kisses! A good interview, Sara. Thank you!! I have a sample of Cacao Kisses that I can share with you! I'll try to remember it next time I see you. How interesting! I have never tried Colombian tea but I must admit it is very intriguing. Thumbs up for the sustainable practices. Great interview! Thanks Anna! Glad you enjoyed the interview. It is very wonderful post full of information. I also like black tea with herbs and advice you to taste it once. It has many health related benefits. Nice interview. How did you hear of these guys? I am a British expat here in Colombia and an avid tea drinker. I will be attempting to source some black tea from these guys. Hi Stuart, thanks for the comment. I actually found Bitaco while at the World Tea Expo last year. I was given some samples and was really intrigued. If you are unable to source some of their tea, let me know I can reach out to my contact with the company to see if they can help.